Ravi goes after what he wants in The Young and the Restless spoilers. The Young and the Restless spoilers for Tuesday, March 7th, tease that couples are in flux in Genoa City! Read on for more details. 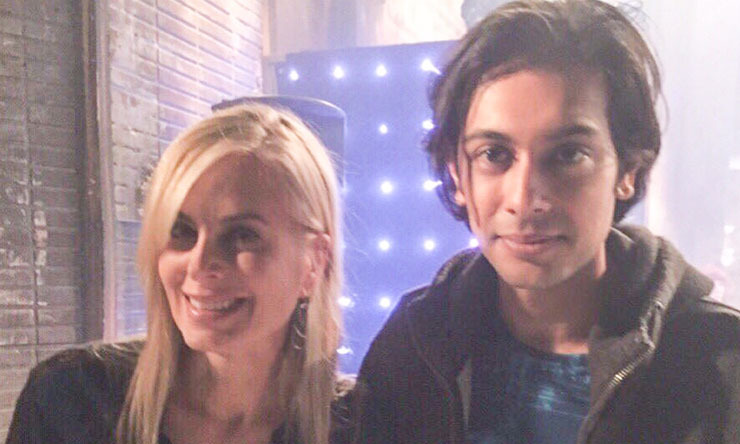 They work so well together as colleagues, could Ravi (Abhi Sinha) and Ashley (Eileen Davidson) be more? That’s what Ravi’s been hoping. When he broaches the subject with the Jabot exec he has a crush on, Ashley hits the brakes. She establishes a boundary with Ravi. Sign and Initial Here…If You Dare! Hillary (Mishael Morgan) informs Mariah (Camryn Grimes) to prepare for their joint publicity session in front of the camera. Also at GC Buzz, the town’s newest troublemaker makes a move where the woman who once held that title is concerned. Jordan (Darnell Kirkwood) asks Devon (Bryton James) if it would be OK with him if he can go out with Hillary! Devon and Hillary are constantly on-again/off-again, as they can’t seem to quit each other, so don’t be surprised if Devon DOES have a problem with this.